The water was unforgivably cold but I hardly felt it, clothes still on from a run, not wanting to lose heart or nerve by changing into a bathing suit. I swam until I couldn’t feel my toes, stomach aching with shock. This is the cold water of lobster season that arrives with the end of summer’s first chill and runs—colder and colder—into October. 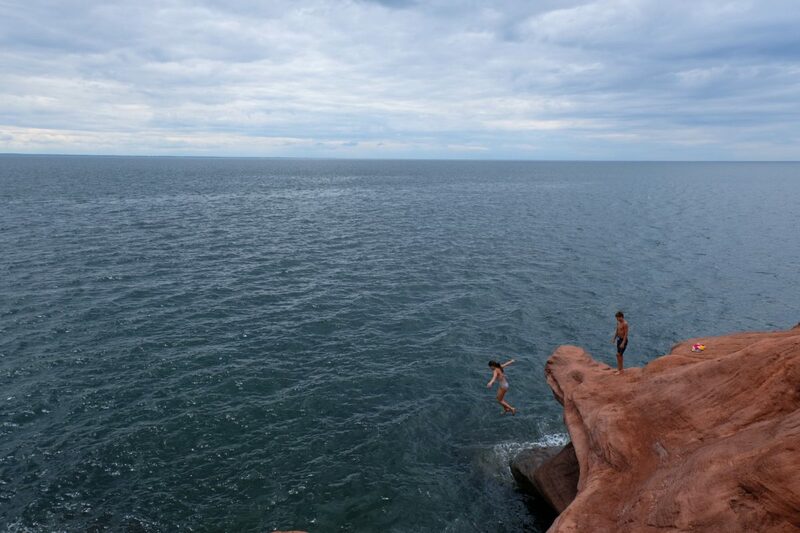 This is the cold water of my childhood, of summers in The Canadian Maritimes and Maine. As an adult I’ve dallied with warm weather swimming, exploring tropical beaches and islands further afield once I earned my own paycheck and could flap my own wings. This is real swimming, I thought, floating in water warm enough to be your bath, drink in hand, baking in a tropical sun. But the warm water never felt quite right, never measured up. There was always a definitive lack of home, of bone-chilling defiance, teeth-shattering bravery, of attempted jumps and re-entries into canoes, of trying to warm up under a 70 degree sky. As tends to be the nature of short lived affairs, my experiments with warm water swimming ended without ease and with considerable pain. In Aruba I swam with strep throat and on medicine that made me susceptible to an otherworldly tan. In Indonesia I swam through a case of pneumonia that lingered for months, impervious to eastern and western treatments—guasha, neon cough syrup, a Balinese doctor’s cocktail of drugs. Can warm water cleanse you, baptize you into a new day, push you to shed your old life once summer arrives, new and clear each year? The east coast waters never saw me sick or pained, only cold, goose-bumped, resilient, ready to brace summer, fall, and the winter beyond.